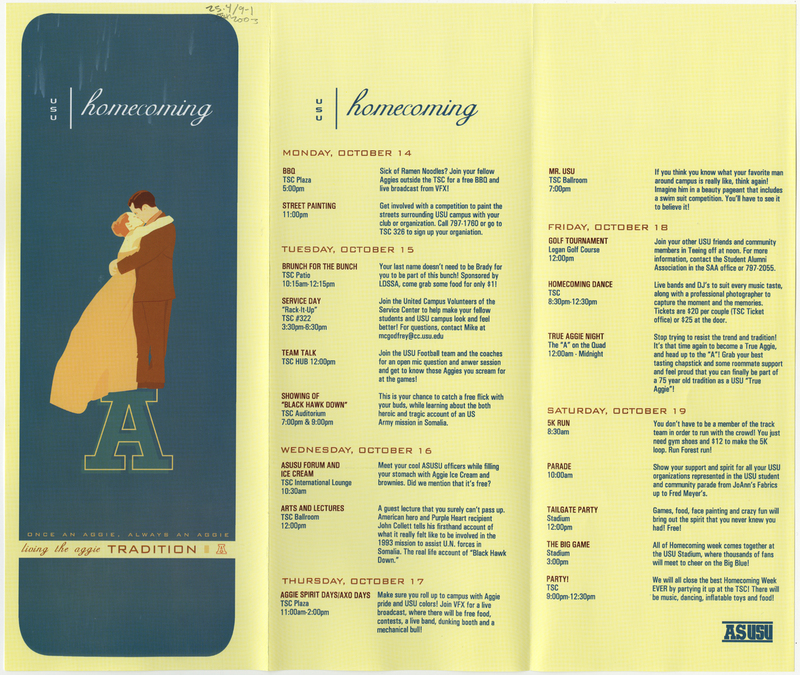 Brochure detailing the schedule for the 2003 Homecoming Celebration at USU. Theme: Living the Aggie Tradition. Utah State University Alumni Association, “"Living the Aggie Tradition" - brochure for USU homecoming, 2003,” USU Digital Exhibits, accessed April 24, 2019, http://exhibits.usu.edu/items/show/18285.